After a long wait, West Michigan is now home to their very own chapter of the Association of Women in Science. The Midwest Interprofessional Practice, Education, and Research Center will host its ninth conference in the DeVos Center on Grand Valley State University’s downtown campus. Within the last few years, Grand Rapids has become known as a mecca for arts and culture, the food industry and a variety of nightlife attractions. As Grand Valley State University continues to grow in size, so does the need for larger facilities. Currently, GVSU is expanding to fulfill the need of students in the form of a new health sciences building. This new academic building will be built downtown on Grand Rapids' Medical Mile. One will begin construction this winter, but the exact details of the proposed project are still under wraps as the university board has yet to give its final approval. The homeless population in Michigan has increased by more than 6 percent since 2014, and that growth has showed no signs of slowing down. Grand Valley State University and Rockford Public Schools are helping high school students explore careers within the health professions under a new early college enrollment program beginning in the 2016-17 academic year. 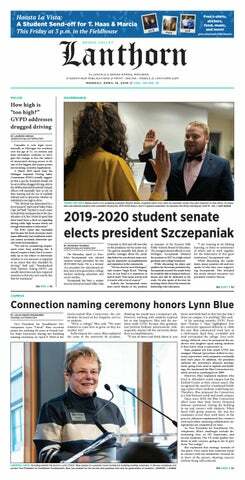 Grand Valley State University will end its involvement with the Grand Rapids SmartZone when the entrepreneurial program undergoes new administration on April 1. Presidential hopeful Marco Rubio visited Lacks Enterprises in Kentwood, Michigan to rally local support for his campaign on Tuesday. Rubio is one of five remaining candidates in the Republican party alongside Donald Trump, Ted Cruz, John Kasich and Ben Carson.